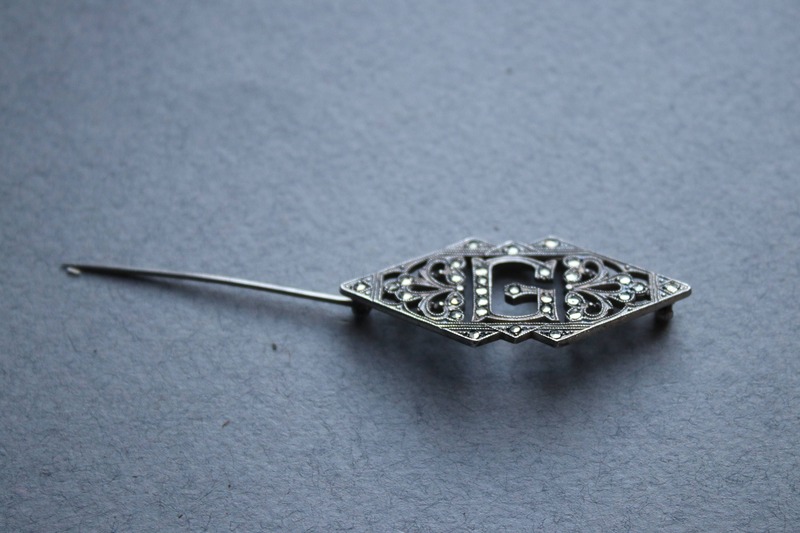 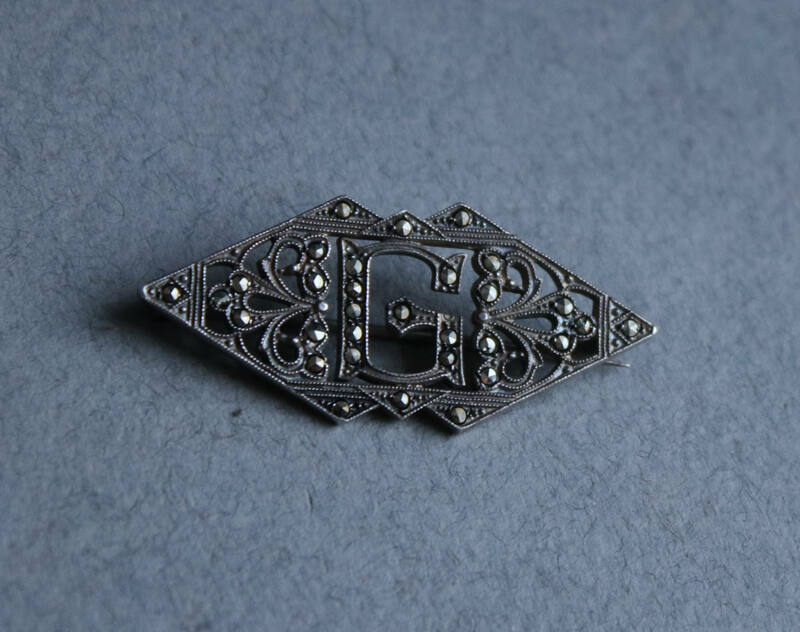 This sterling and marcasite initial brooch bears the initial "G" and was crafted in distinctly Art Deco fashion. 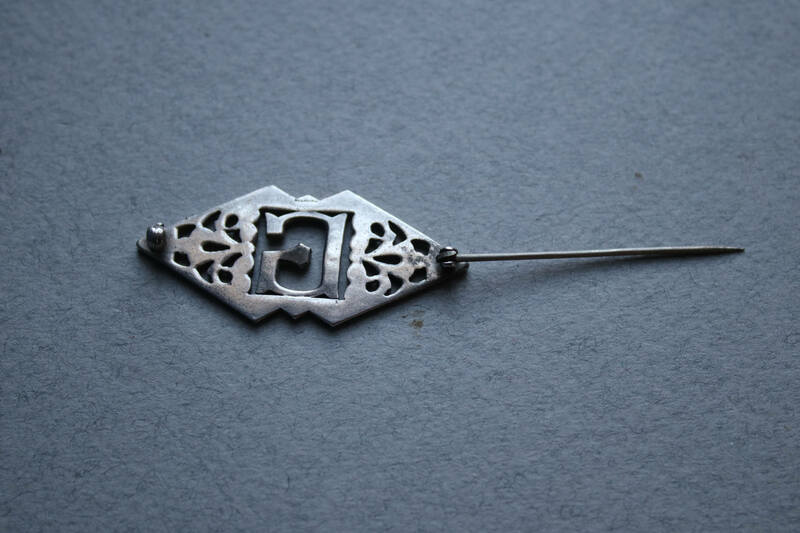 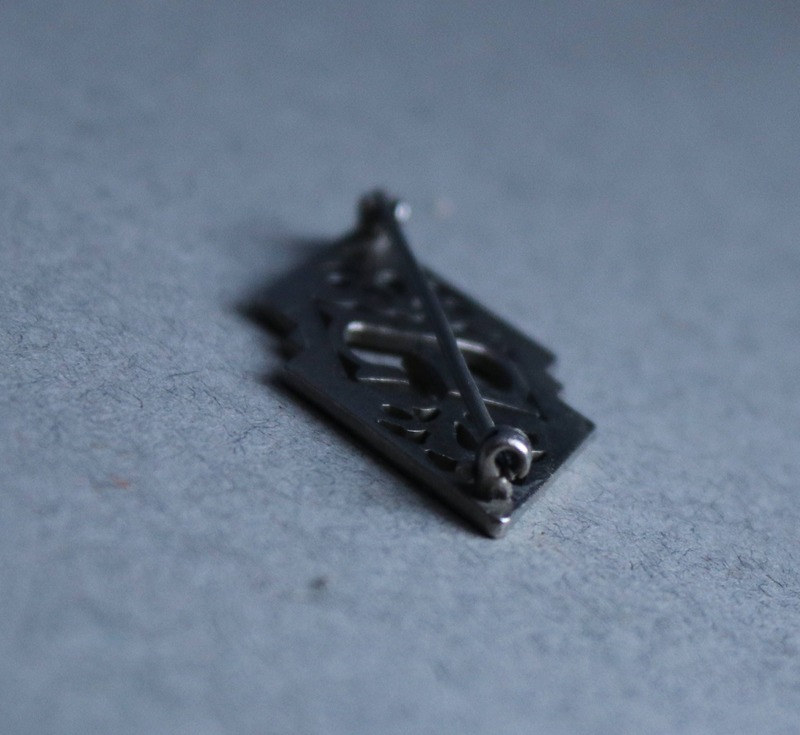 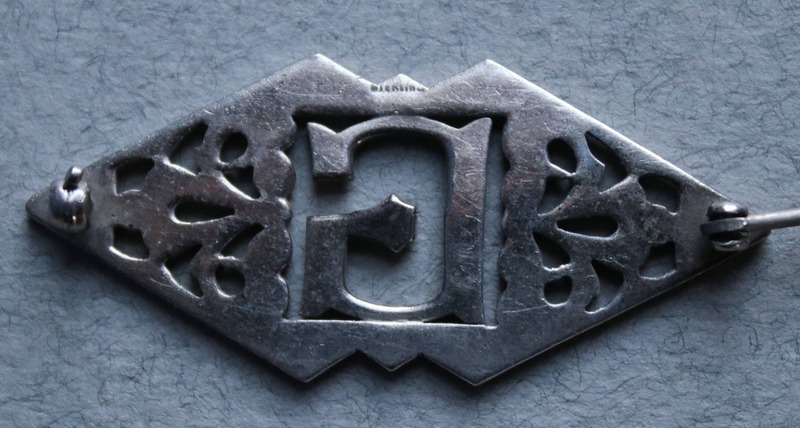 It has an early locking C clasp that was often used on Art Deco jewelry. 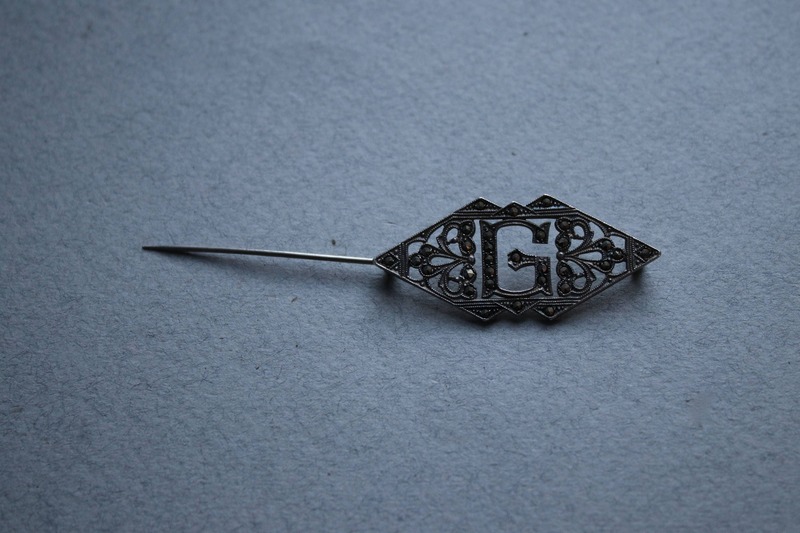 The back has "STERLING" stamped at the top. 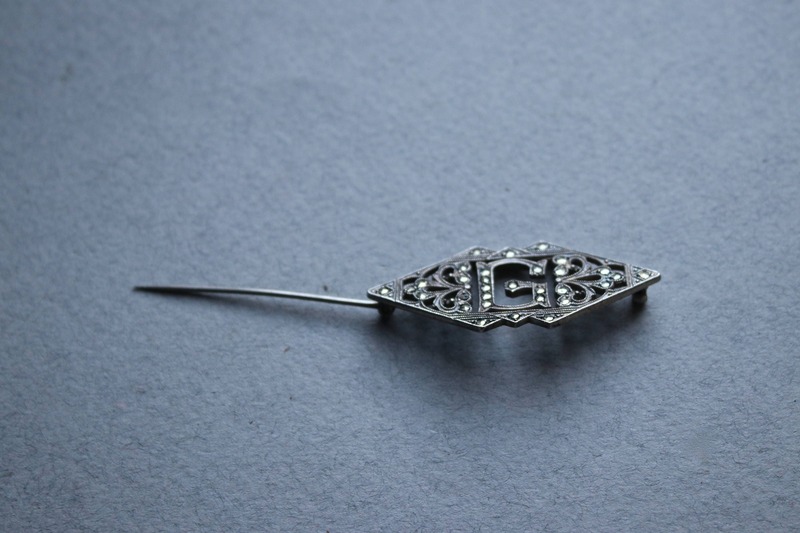 There are a couple of marcasites that have condition issues in the way of chips and cracks although these are only visible with a loupe and do not detract from the overall appearance of this brooch. 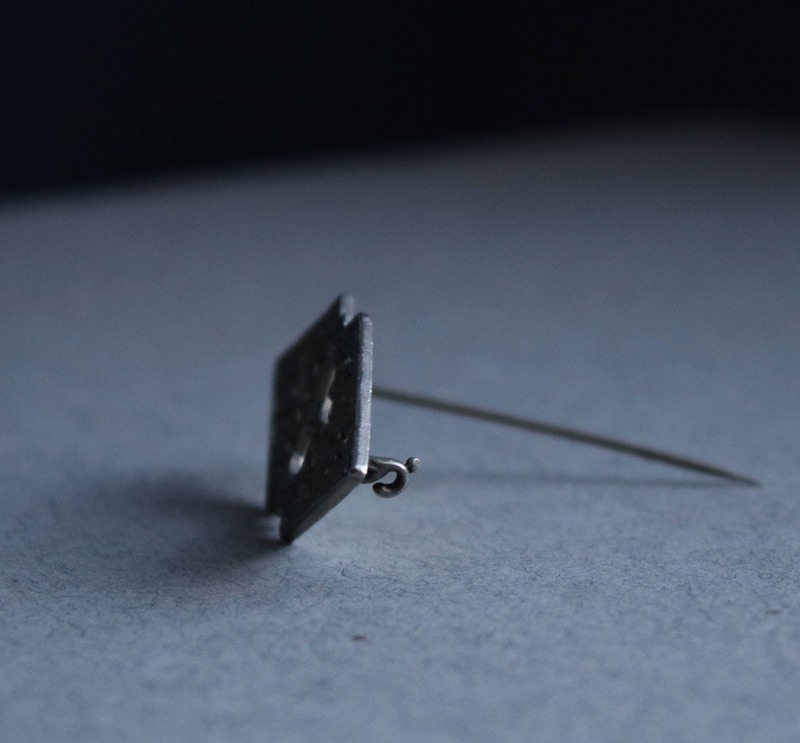 Measurements are almost 1 3/4" in length by approximately 3/4" in length.